The following is a guest post about business insurance. If interested in submitting a guest post, please read my guest post policy and then contact me. 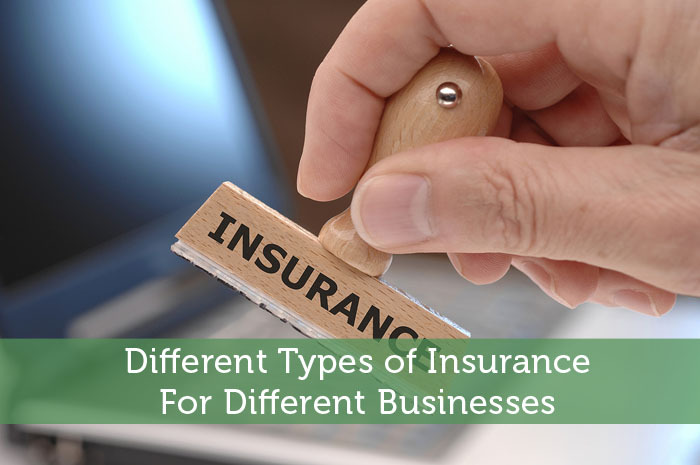 Most business owners need to be aware of the various types of insurances that apply to their particular businesses. This is to ensure proper protection of their businesses in case any damage occurs. Once you take an insurance policy, which covers your business for a multitude of damages, you are assured and guaranteed of covering all the damages incurred. Obviously, most businesses require insurance for the purposes of protecting the property invested. This is one of the reasons why you should be enlightened on the types of insurances available out there that apply to your business. This particular type of insurance ensures that products are insured in case they get stolen, burned, or damaged. It applies to businesses that are involved in the manufacturing and distribution sector because of the high level of sensitivity, which is entailed when it comes to the production stage up to the retail stage. The product liability insurance also protects the business from diverse claims that might arise when a product is said to be malfunctioning. This insurance is particularly important when it comes to the produce that farmers expect every season together with the equipments and manpower that goes into ensuring that the produce is harvested in due time. A loss that might occur from invasion of pests, natural calamities and the produce getting stolen is also covered under this insurance, which provides assurance to farmers that all their worries are taken into account. This type of insurance caters for individuals who have built their own homes with the intention of permanently settling there. The homeowner’s insurance happens to be the most important insurances an individual can take for the purposes of covering the home. This is because it insures for any damage against the home and the items within, which goes on to ensure that individuals do not get devastated when loss is incurred in the home. It provides assurance that no matter the accident type, this particular insurance covers all the damages that have occurred. The construction business is known to be characterized by accidents if measures are not taken into account. A specific insurance for this is important as it covers for any injuries that occur when in the construction site together with any materials or equipments that get stolen on the site. These days, most people have involved in the export and import of vehicles kind of a business. In regard to that, this business is considered high risk. The main purpose of an insurance cover is to cover any damage caused leading to business loss. An individual whose business requires a lot of travelling around can also consider getting this cover, which goes on to insure all the vehicles on the road against damage and also bodily injury that may result from a crash. In the case of collisions, this cover protects any liability that may arise from the crash and this enables the individual not to spend a single cent from their pockets. Individuals in the transport business should ensure that they get this particular cover because of the many benefits associated with it. We looked into it recently as our small business gets ready to open to customers. You don’t want to get a customer claim that will ruin you in your first year of business. For sure, that first year is when you would be most susceptible to something like this. One lawsuit could easily tank your business.